How Many Links In One Page? 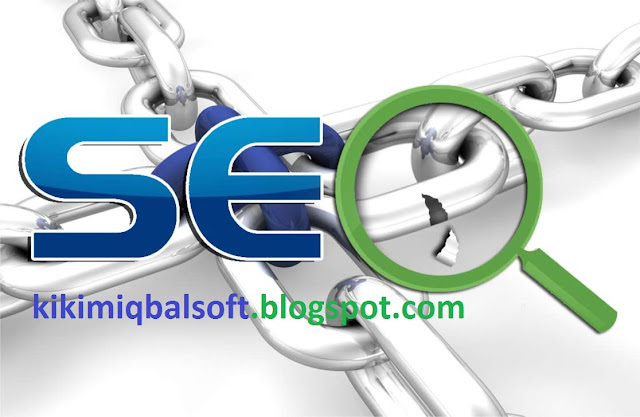 How many links to put on a page is one of the most frequently asked questions By those who are just learning SEO (search engine optimization) for the first time. This is a question that is usually difficult to answer because every website is different in character. Different nature how does that mean? So how to determine how many links can be installed in one page? For me the ideal is POSSIBLE SEMINIMAL AND THAT REALLY NEED TO .... Well then many are confused, who really need it like what? The sitewide link is a link that is displayed on all pages of your website. As in the menu in the header, or links on the sidebar and footer. Keep all links in the header Is a link to important pages on your website. For example the links to the most frequently searched pages in your niche or the greatest traffic. Never install an external link within the header area because it will make it difficult to collect points. Do not also have too many links in this header. Ten is the value of a reasonable number of links. Unless you are strong looking for backlinks. Links on this sidebar you can focus on ensuring Googlebot crawls all your articles. So here you can put a link label and archive from your blog. You can also install links TERMINENT or LATEST ARTICLES in your website sidebar. For your own footer you can install links that provide information About who you are or what your business is. For example: link author or about us, Or disclaimer, or contact us. If you really want to Install a social media page, then the footer is the most appropriate option. When you consider posting links in your article pages, Then consider whether this article you created Is your mainstay article for traffic or just articles supporting the main article. If this is the main article, then you can put some Links to supporting articles, but make sure there is a link to the main article in the supporting article. But if you make this as a supporting article, then you can Ensure there is a link to the main articles, but in the main articles, There is no obligation to link to this supporting article. Main articles You can also show the link in sitewide, but the supporting articles should be avoided appear sitewide. Relevance is very important In putting internal links. So try to put a link In a position that is between the very focused paragraphs Discuss things that match with the page targeted by the link. If you must Install external links; Keep the external links really relevant. To help you, then you can search Using keywords that you will use as anchor text The results that come out of this search must be the most relevant In Google ratings, so use that. But not too much .... 2 ekstrnal link is enough. For downloaded websites, please always use nofollow on the link to the download page. Auto SEO Journey: How Many Links In One Page?